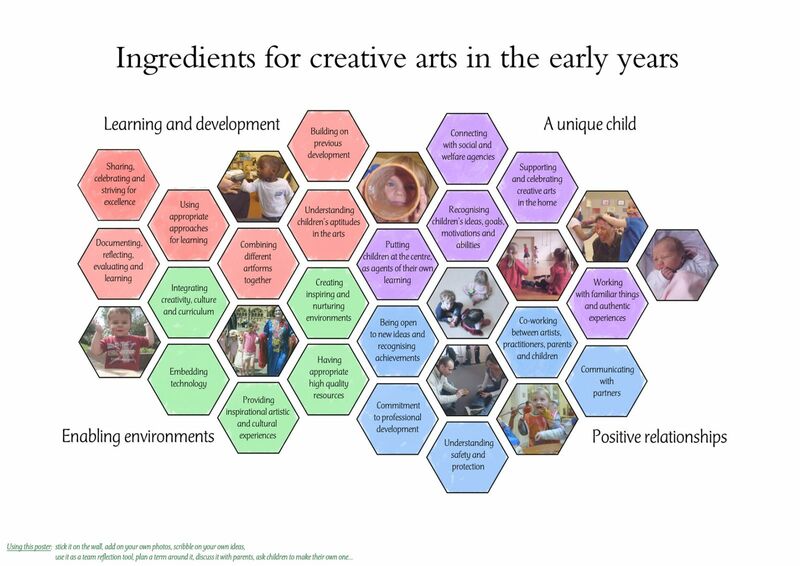 Earlier this year, participants in the Early Years Strategic Roundtable - a Youth Music-funded national network for arts in the early years - put together this set of ingredients early years. We wanted to pull together a consensus on what we all believed were the important elements in effective early years practice. The Early Years Strategic Roundtable is a national alliance of organisations supporting creative experiences in the expressive arts for children in their early years. It brings together mainly organisations from the Early Years and Arts (including music) sectors with a national remit, as well as the Youth Music-funded regional Early Years networks. Since 2012, the Roundtable has been hosted by Earlyarts, with Youth Music Networking funding, having been established by Youth Music in 2009. We looked at several other frameworks and sets of principles, including the Arts Council's Principles for Quality Practice, Artsmark criteria, Youth Music's Early Years Music-making ingredients, the EYFS framework, Reggio Emilia approach, the CLA's Principles of Cultural Learning, the Musical Progressions Roundtable's Ingredients for Progression, and a set of Questions for Creativity Nurturers. To this collection, we added our own experiences, knowledge of the body of evidence around arts practice in the early years, and tried to come up with a practical, useful framework. You can download it as a poster, scribble on it, put up you own pictures etc. Please let us know what you think!